The 2018 Nissan Leaf is the second generation of the five-door battery-powered hatchback. Nissan has increased the range, horsepower and price of its 2018 Leaf, which goes on sale in Canada early next year. The base model 2018 LEAF S starts at $37,998, including destination charge. That’s a $2,000 increase over the MSRP of the outgoing 2017 model. The 2018 Nissan Leaf is the second generation of the five-door battery-powered hatchback. Its driving range has increased 40 per cent to 241 kilometres on a single charge when compared with the 2017 model. Its horsepower has also increased 37 per cent. The improvements put the driving range of the second-generation Leaf on a par with its closest Canadian rivals, the Tesla Model 3, which hasn’t arrived yet, and the Chevrolet Bolt EV. The Model 3 delivers 354 kilometres, the Bolt EV 383 kilometres. 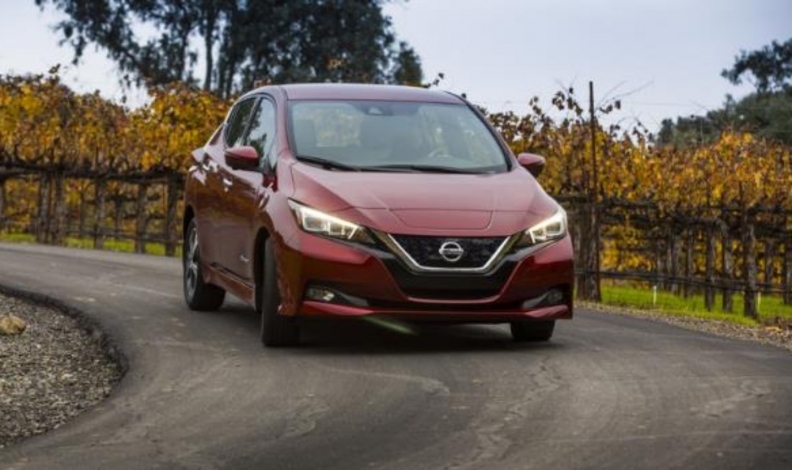 The new Leaf comes with an updated edition of Nissan's ProPilot Assist autonomous driving features, as well as a new e-Pedal technology that turns one pedal into a combined accelerator-brake. Nissan's e-Pedal allows one-pedal driving. When the feature is engaged, a driver presses the accelerator pedal to speed up, and lifts off the pedal to slow down. The car even comes to stop when needed. Heated front and rear seats and a heated steering wheel are standard equipment on the 2018 Leaf. All three trim levels come with automatic emergency braking, a quick port charge, portable charge cable and LED headlights with LED daytime running lights. The Leaf SV starts at $41,588, including delivery. It comes with ProPilot Assist, intelligent cruise control and steering assist. It also has standard blind spot warning, rear cross traffic alert and 17” alloy wheels. NissanConnect with navigation, a seven-inch touchscreen, Apple CarPlay and Android Auto are also standard. The top-of-the-line Leaf SL starts at $43,988, with delivery, and adds leather seats, a Bose audio system, around view monitor and driver attention alert. Leaf sales have plummeted in 2017, down 27.7 per cent to 940 units when compared with the first 11 months of 2016. Last year, Nissan sold 1,375 Leafs, up 11.5 per cent over 2015. The 2018 Leaf will be followed with a new high-powered version with increased motor output and battery capacity in model year 2019.